Philadelphia possesses an exceptionally large number of places that have almost disappeared—from workshops and factories to sporting clubs and societies, synagogues, churches, theaters, and railroad lines. 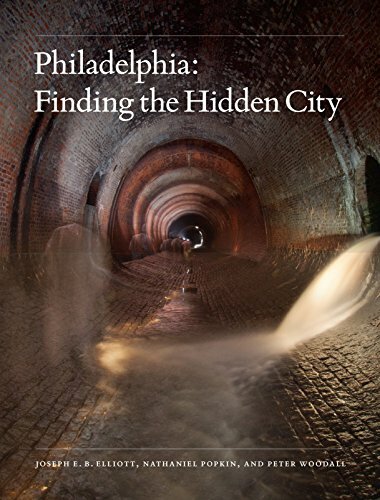 In Philadelphia: Finding the Hidden City, urban observers Nathaniel Popkin and Peter Woodall uncover the contemporary essence of one of America’s oldest cities. Working with accomplished architectural photographer Joseph Elliott, they explore secret places in familiar locations, such as the Metropolitan Opera House on North Broad Street, the Divine Lorraine Hotel, Reading Railroad, Disston Saw Works in Tacony, and mysterious parts of City Hall.Much of the real Philadelphia is concealed behind facades. Philadelphia artfully reveals its urban secrets. Rather than a nostalgic elegy to loss and urban decline, Philadelphia exposes the city’s vivid layers and living ruins. 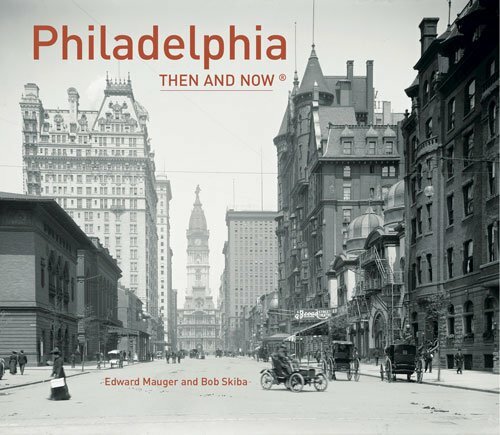 The authors connect Philadelphia’s idiosyncratic history, culture, and people to develop an alternative theory of American urbanism, and place the city in American urban history. The journey here is as much visual as it is literary; Joseph Elliott’s sumptuous photographs reveal the city's elemental beauty. 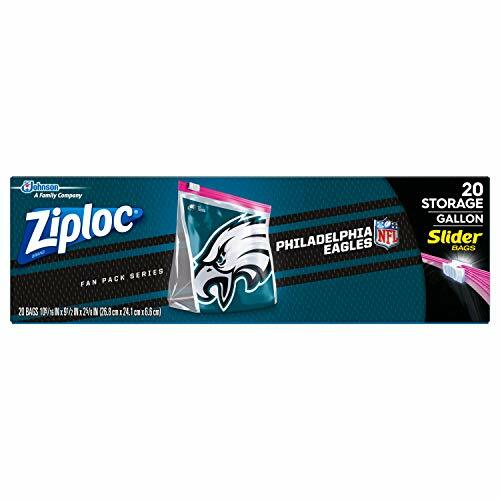 Philadelphia has Athens to thank for its classical structure, London for its Georgian and Victorian treasures, Paris for its grand boulevard, and William Penn for its name. 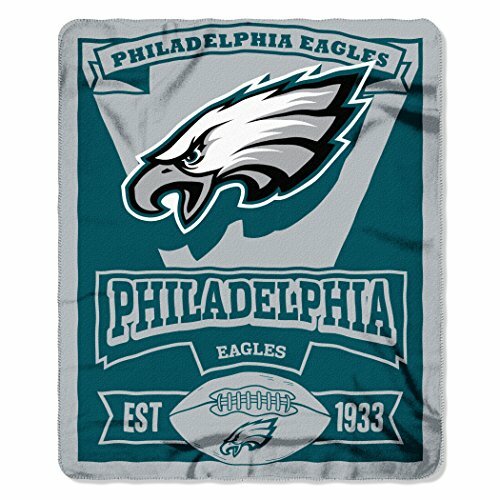 Translated from the Greek, Philadelphia means "City of Brotherly Love." Ben Franklin’s guiding hand also appears, the great polymath was involved in the world’s first lending library and America's first hospital, medical school, think tank, and nondenominational college. This book pairs rare old archive images with modern views to show how the city has fared since the 19th and 20th centuries. 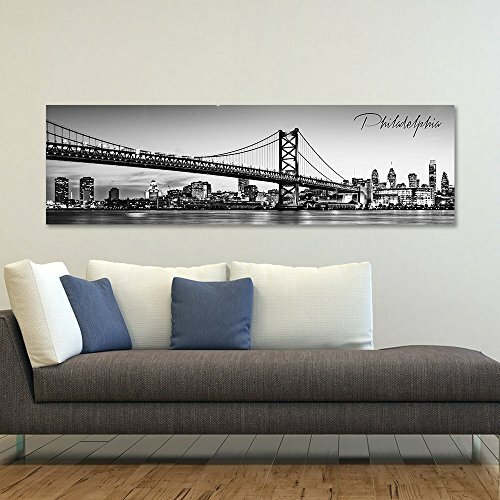 Locations include Betsy Ross House, Elfreth's Alley, London Coffee House, Reading Terminal, Wannamakers, Poe House, Carpenter's Hall, Second Bank, Bourse Building, Masonic Temple, Eastern State Penitentiary, Philadelphia Waterworks, Fairmount Park, University of Philadelphia, Shibe Park, League Island, Penn Cottage, and Girard College. Extensively revised from the original version with new sites, new text, and additional photos. Get to know the city’s most vibrant and historic neighborhoods. Grab your walking shoes and become an urban adventurer. 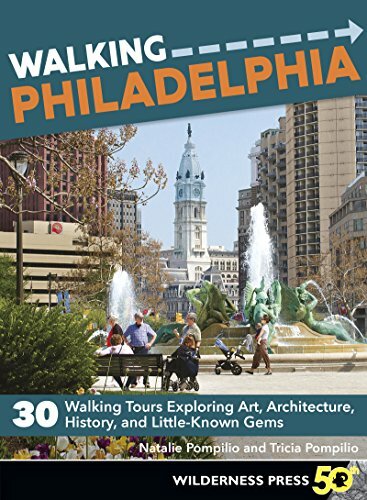 Natalie Pompilio guides you through 30 unique walking tours in this comprehensive guidebook. Go beyond the obvious with self-guided tours that showcase famed fare (such as cheesesteaks, pretzels, and beer that make Philadelphia a foodies’ paradise), as well as vintage boutiques, high-end shopping destinations, and one-of-a-kind local goods. Discover Philadelphia’s many “Firsts”―the first zoo, first library system, and first hospital―plus dozens of historic sites you learned about in school. Explore a Museum District that’s second to none, an all-encompassing park system, America’s Most Historic Square Mile, and much more. Walking Philadelphia is the only guide to the city that makes you feel like you’re being led by your smartest, closest, funniest friend. The tours not only include all the important historic facts and figures, but Natalie also shares behind-the-scenes stories and tidbits that you’ll later rush to tell others. Plus, Tricia Pompilio’s photography brings these walking tours to life. Walking Philadelphia is recommended for locals, as well as tourists, promising something for everyone.